The Ministry of Health/ Health Promotion Unit are currently encouraging all sexually active women or those with a cervical cancer history in their families to come Saturday January 27 for a free pap smear cervical cancer screening at any Health Center on the island as part of of Cervical Cancer Awareness Month . Last week 588 men registered for a free Prostate cancer screening at the Occasions Grounds at Pinneys. The pap smear screening event is now in its second year and each Health Centre on the island will be opened from 8 am to 12 pm to receive interested persons. Last year 114 women came out for the screening. “The Observer” spoke with Shelagh James, Health Promotion Unit Communication Officer who noted the importance of having the screening done. “Cervical Cancer Awareness Month is a chance to raise awareness about how women can protect themselves from HPV and Cervical Cancer. The Ministry of Health in collaboration with Community Health Nursing Services would like to raise awareness and promote cervical cancer prevention by using the day of Saturday 27,” she said. James said that results may take between 3-4 weeks and gave a brief description of what might happen if an abnormal result comes back. “You will be called in and you will have to sit and discuss that with your doctor. Abnormal cells do not necessarily mean cancer cells it could mean something else. So they will properly have to go through some other screening just to be absolutely clear and at that point they will be advised what will follow,” she said. 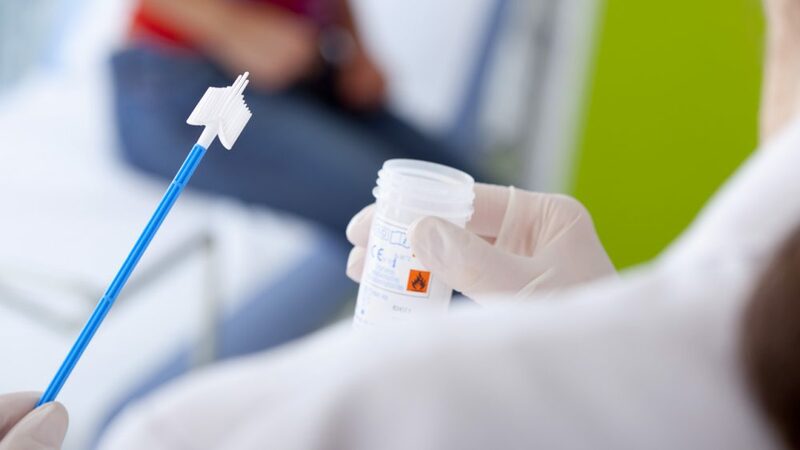 Pap smear tests are also available throughout the year at Health Centres around the island and are conducted free of charge by a nurse. At the Charlestown Health Centre on Fridays, at the Brown Hill and Gingerland and the Butlers Health Centers Thursday , Combermere Health Centres Tuesdays and the Cotton Ground Health Centre Mondays.